I just finished watching the presidential debates. While most of you know where I stand, this isn't a forum for political debate. 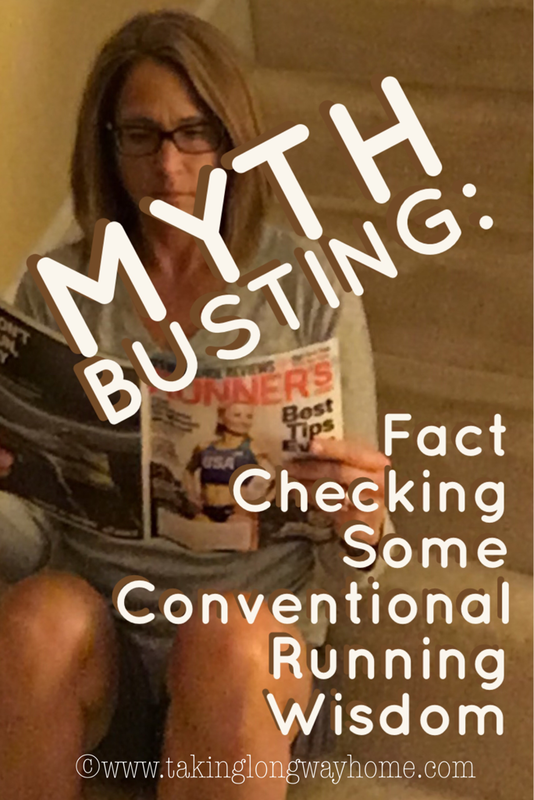 It's a running blog, but I have to admit that Hilary's repeated request for fact checking inspired me to do some fact checking of my own--not on politics, but on running myths. Just log onto Facebook and the running advice abounds. I'm no expert but I know enough to be dangerous. There's good advice, mediocre advice, and bad advice. As a medical provider, I base my decisions on evidence. Anecdotes and stories are great, but "correlation doesn't mean causation. But then there's that advice that keeps appearing. Similar to urban legends, these running "tips" keep showing up on social media. For today's Wednesday Word, which is wisdom, I thought I'd put on my professor cap and try to dispel some commonly accepted running wisdom which isn't quite so wise.